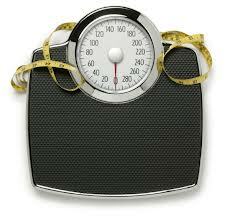 On 25th March, 2013, the UK government published a new policy called ‘Reducing obesity and improving diet’. The policy has been created to tackle the growing problem of UK obesity, which now threatens to overwhelm our National Health Service. Alarmingly, the policy reveals that 61.3% of British adults and 30% of children are overweight or obese, and thus have an increased risk of developing type 2 diabetes, heart disease and certain cancers. They also warn that excess weight can ‘make it more difficult for people to find and keep work, and it can affect self-esteem and mental health’. And they estimate that the health problems associated with obesity now cost our NHS more than £5 billion every year. The policy ambitiously seeks to reverse this trend by 2020, by encouraging us Brits to eat and drink more healthily and to be more active. As the more unscrupulous are currently cashing in on our obesity epidemic by promoting dangerous fad diets, the new policy is long overdue. The health risks attached to one such diet craze, the liquid diet, are highlighted below. Low calorie liquid diets involve replacing regular meals with liquid foods such as soups and fruit juices and are sometimes available over the counter or from your GP. Whilst the liquid diet may be suitable for the clinically or morbidly obese, who follow the programme under medical supervision for a short period of time, it can be extremely dangerous when used indiscriminately as an on-going method for weight loss by anyone else. The liquid diet doesn’t only result in the loss of excess fat, it can also prompt the loss of muscle fat, which is crucial for optimum health and physical fitness. Loss of muscle mass can cause muscle cramps and in the worst case scenario, even effect vital organs such as the heart, which can lead to an irregular heartbeat or other types of cardio problems. The severe reduction in calories associated with the liquid diet often triggers starvation mode, when your body’s metabolism actually slows down and starts to store fat, rather than burn it as fuel. This may result in much slower weight loss than originally anticipated and can frustrate your chances of success. Depriving your body of solid food and drastically reducing your calorie intake will inevitably result in sluggishness, muscle cramping and fatigue and, as your metabolism slows, you’ll suffer more from the cold, especially in the winter. Whilst many top celebrities (including popular chat show host Oprah Winfrey) seem to have effortlessly lost vast amounts of weight on a liquid diet, most find the weight loss difficult to maintain long term. This is because following a liquid diet won’t help you to address the key aims of the UK government’s new policy – adopting healthy, long term eating habits and enjoying plenty of regular exercise. Indeed, those on a liquid diet often experience a so-called ‘yo-yo’ effect, which results in a perpetual cycle of weight loss and gain. This is because rapid and uncontrolled weight loss without exercise or a nutritionally balanced diet, will cause you to gain even more weight once you stop. In fact, without behavioural or nutritional counselling, most people on a low calorie liquid diet will regain 67% of the weight that they lost within just one year. The NHS states that the key to weight loss success is in ‘making realistic changes to your diet and level of physical activity that can become a part of your daily routine.’ Bupa echoes these recommendations, urging us to ‘get active and follow a healthy, well-balanced diet’. The superfood diet supports this common sense approach to weight loss by encouraging us to make subtle and realistic changes to our existing diet, rather than cutting out entire food groups or solids altogether. For optimum and sustainable results, the superfood diet recommends the gradual addition of a number of nutritionally dense superfoods specifically linked to weight loss such as raw cacao, coconut oil and chia seeds. It also recommends replacing unhealthy processed foods, refined sugars and fattening dairy products with healthier alternatives such as wholesome superfood snacks, natural superfood sweeteners and hemp or almond milk. An approach that, unlike the liquid diet, fits perfectly with the advice from some of our most respected British institutions. The post The liquid diet – why you shouldn’t avoid solids appeared first on Superfood blog - Healthy, Rawfood Lifestyle.